Preventative dentistry is the most effective way to start your child on a path to excellent oral health for life. At St Clair Dental, our caring, gentle team members love helping our youngest patients show off gorgeous, healthy smiles. Our oral health therapist, Linda, is especially skilled in working with children, putting them at ease and helping them enjoy their dental visits. 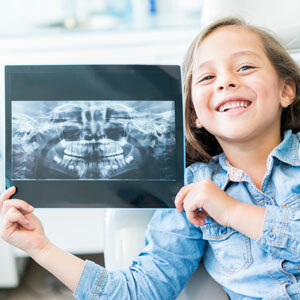 The government provides $1000 of dental treatment over the course of two years for children who are between the ages of 2 and 17. They must meet eligibility requirements, which we’ll be happy to check for you if you contact us and provide their Medicare number. Find out more by phone or email! We offer same-day visits and Saturday appointments.